One block west of Campbell on Republic Rd. Also for fun and travel, or just a bad hair day! Easy to style and wash.
Free customization by a trained professional schooled in the art of wig trimming. We do our best to make you look your best! 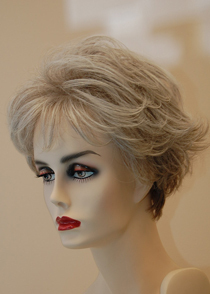 Owner Cheryl Ormsby works with every client to create the best look possible with every wig purchase.